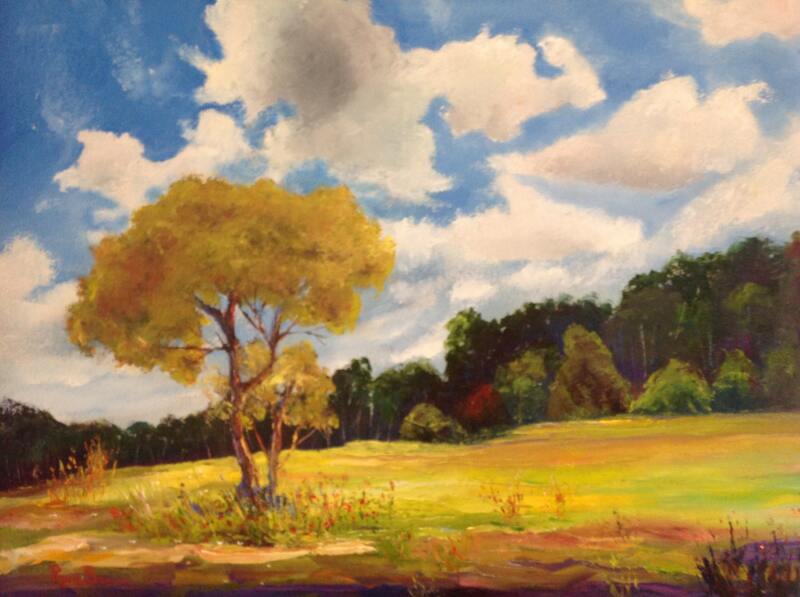 INDIANA SKY is an original 16" x 20" Unframed oil painting. The painting depicts a big sky of deep blue and lots of fluffy clouds. 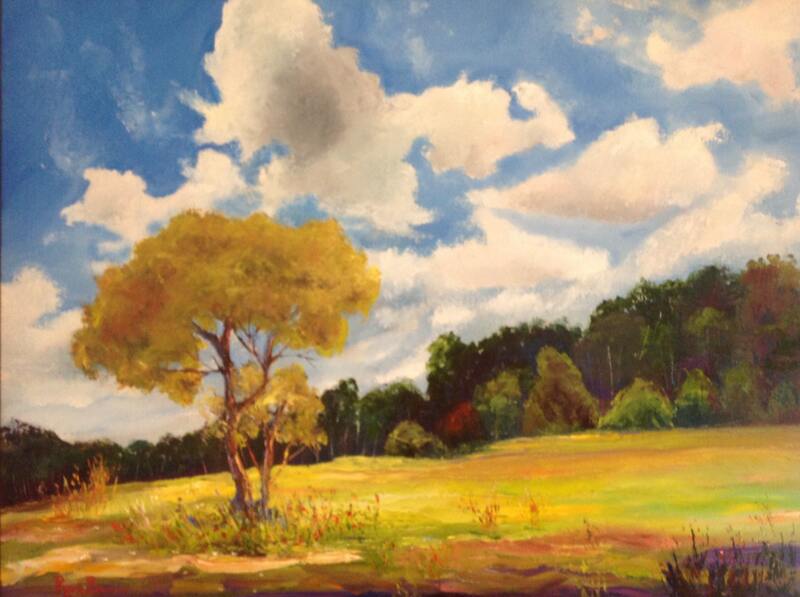 The rustic scene highlights a grassy field with a large oak tree. In the background, There is a bank of deep green trees. The field grasses are a golden wheat color. It's called Indiana Sky because this is the scene I see when I look out the window. It can really be anywhere that has a wide horizon. 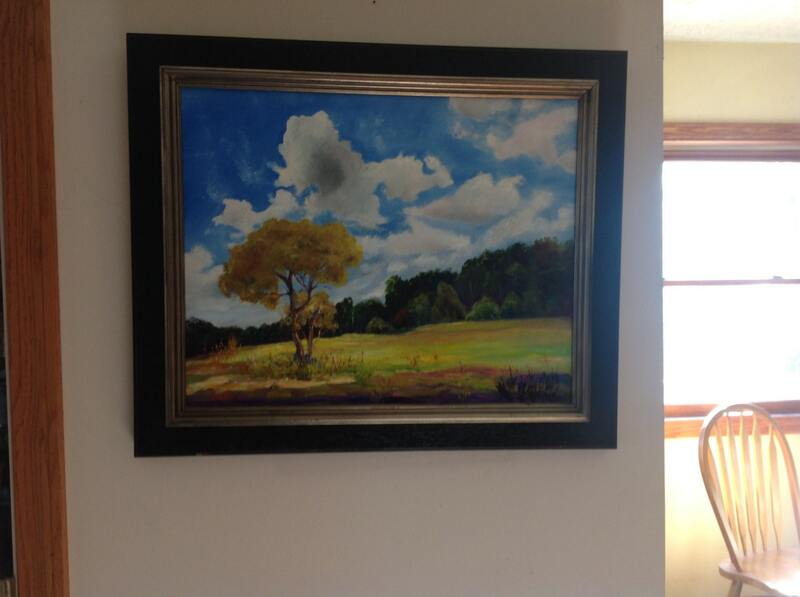 One of the pictures is an example of what the painting would look like framed, even though a frame is not included in the price of the painting. 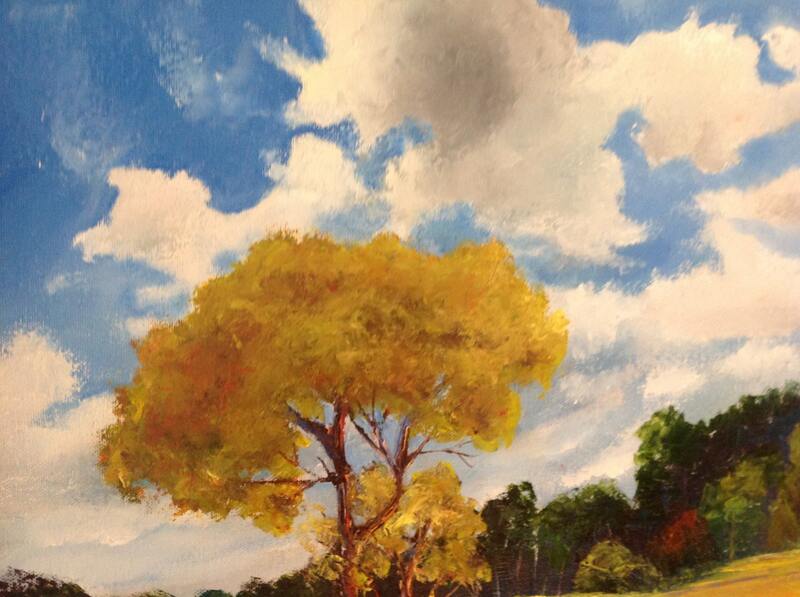 If you want the painting to arrive framed and ready to hang, email me and we can renegotiate the price.